We are a small beer business based in Tulsa, Oklahoma, founded by three brothers and friends who are passionate about craft beer. After a few years of developing our vision and perfecting our debut recipe, we have premiered in our home state of Oklahoma and across the Midwest with our flagship beer "Mmmhops", which is a full-bodied, delicious Pale Ale with a unique toasted malt signature and a refreshing hoppy finish. Our first love is music and with over twenty years as musicians and entrepreneurs in the band HANSON, we are integrating a bit of that craft into each beer sold by giving a free song with every bottle. We also believe that everything you do can be an engine for good to help those in need, so a portion of the proceeds from all our beer goes to support drilling clean water wells in Africa through our non-profit Take The Walk. Our recipe: the best ingredients and total dedication to all aspects of our craft, all brewed with passion. Beer + Music = Awesome. 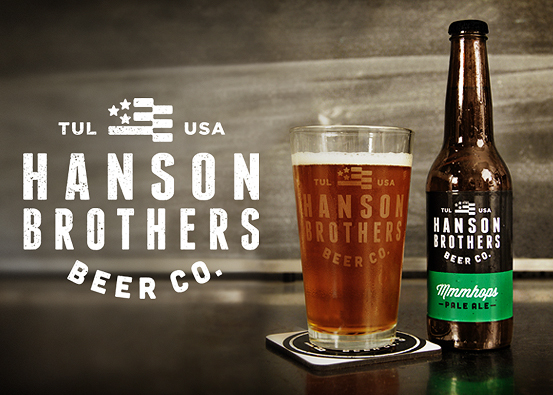 For more information, visit www.hansonbrothersbeer.com.